White cats, particularly those with blue eyes, are more likely to be deaf. These cats lose their hearing a few weeks after birth because the white gene indirectly causes the inner ear's sound receptor cells to die. A shiny coat is one of the best signs that your cat is in good health. Brushing your cat helps decrease shedding and hairballs. 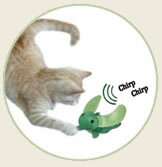 Providing a stimulating environment with a variety of toys will help out with your cats curiosity. Make sure to check your cat's mouth for reddened, swollen gums, bleeding, or bad breath. Then consult your veterinarian if you see any problems. When teaching your new kitten the rules of the house, you must be consistent. If your cat should not climb on your furniture then let kitty know from the very beginning that this is against the rules. The sooner you start training her what is and is not allowed in your home the better. Encourage everyone in your household to enforce the rules. If you would like to keep up to date with all our latest products and articles. Please fill out the boxes below and we'll include you in our bi-monthly newsletter. We're always looking for people to contribute to our cat articles. We love to receive interesting information and tid bits on cats. Fill out the form below, you can paste your article in to the 'comment' box. 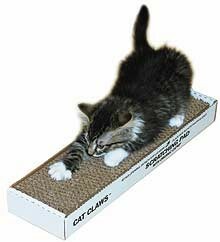 Here you will find links to popular online websites for cat products.